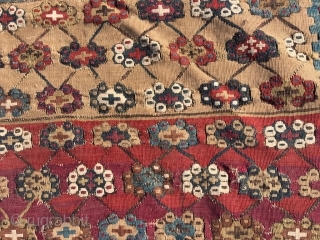 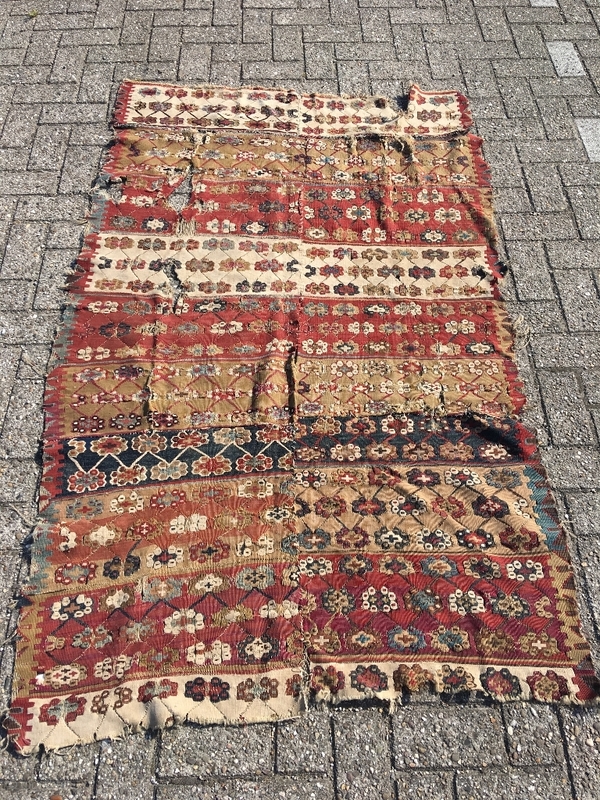 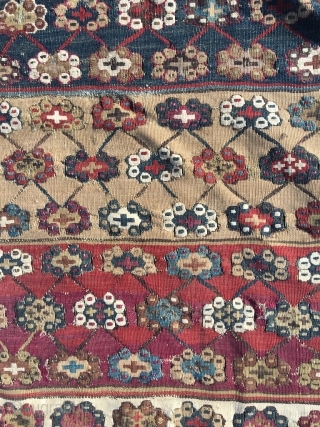 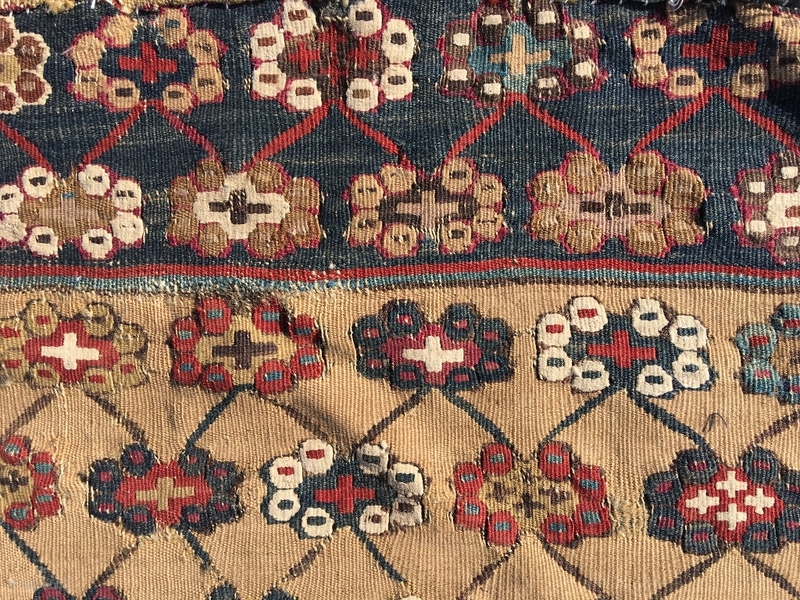 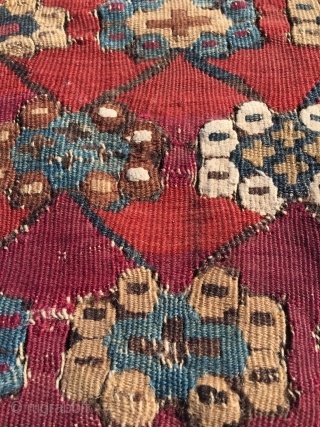 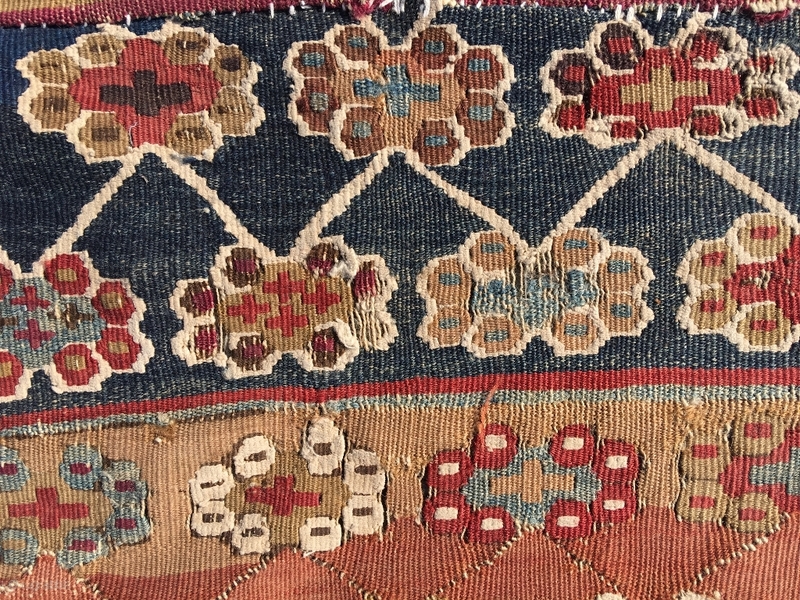 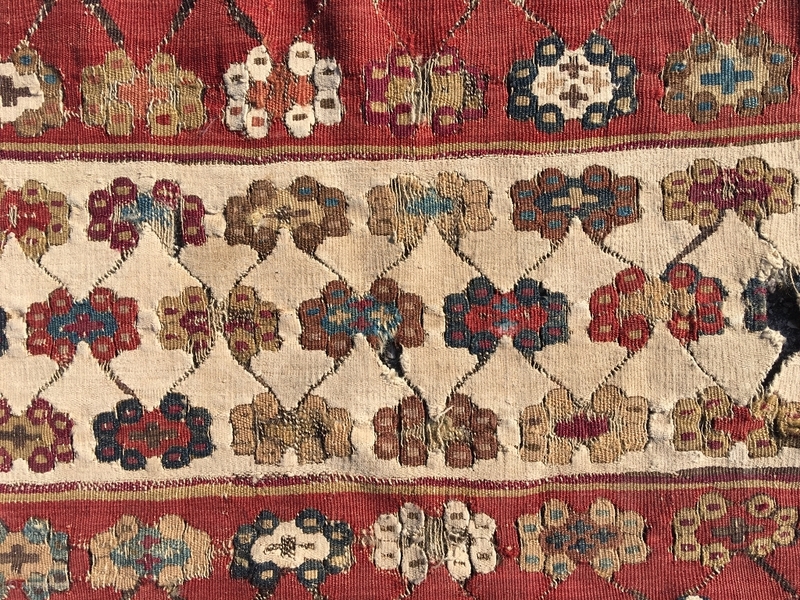 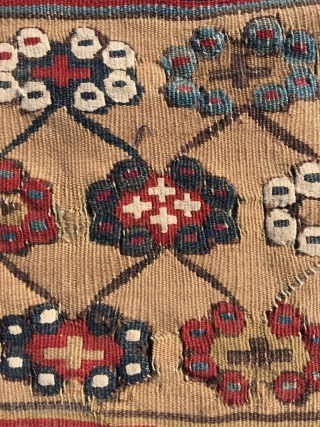 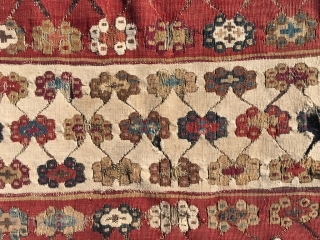 Early 19th century Anatolian kilim. 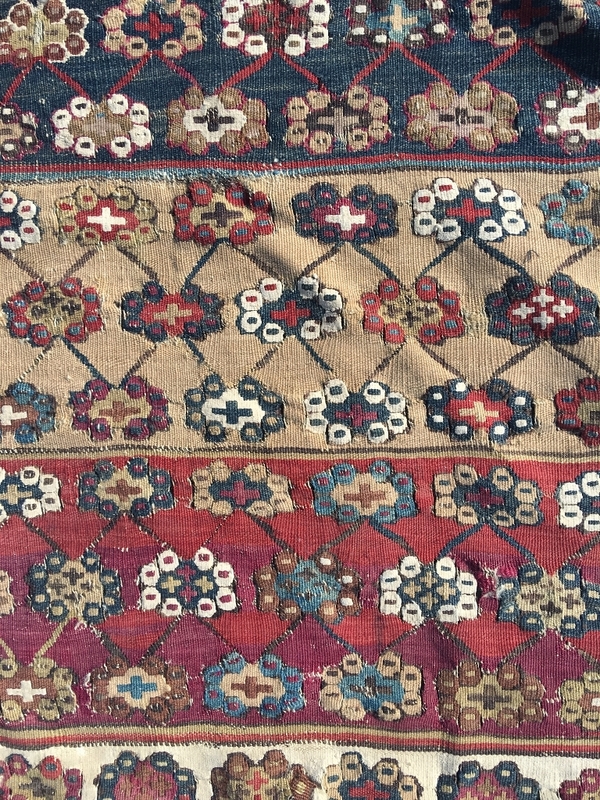 Great colors and drawing, clean, but sides and ends reduced. 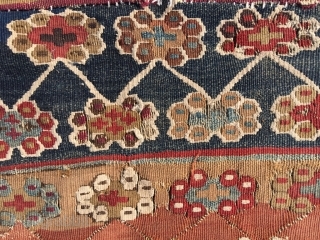 Remaining field generally in good condition. 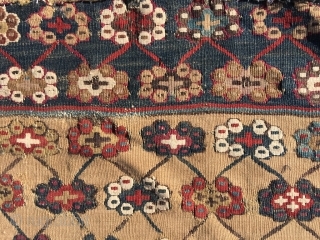 As is, or can be attractively divided in several panels for mounting. 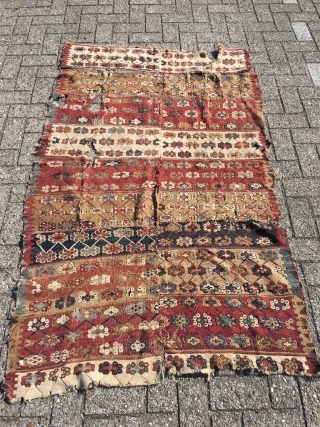 Size 72.05 x 43.31 inch (183 x 110 cm).